Kauai's favorite Korean-style cooking with a large affordable menu. 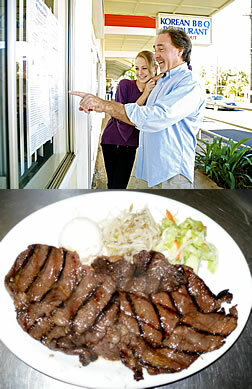 Dine in or take out at Kauai's Korean BBQ Restaurant in Kinipopo Shopping Village, Kapaa. 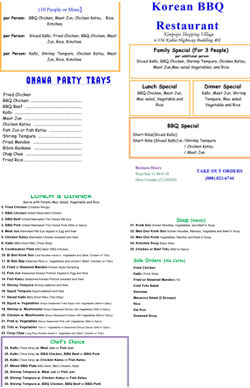 Click on the menu above for a larger view.